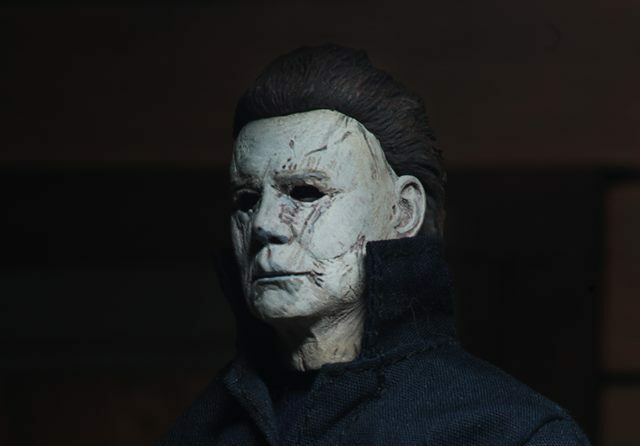 Following last year’s release of their Ultimate Michael Myers figure and the upcoming Ultimate Laurie Strode, Neca has just unveiled their new retro-styled Michael Myers Clothed Action Figure. The new figure stands eight inches tall, joining Neca’s “clothed action figure” line, presented in the style of the classic Mego action figures. Based on his appearance in the 2018 Halloween movie, this latest Michael Myers figure is fully articulated and includes knife and hammer accessories, and it will come in window box packaging. The Halloween 2018 Michael Myers Clothed Action Figure from Neca will be released in the fall of 2019. You can see the first official photos of the figure, released today ahead of New York Toy Fair, in the gallery below.